Surety, Contract, License, Court Bonds in Texas - Keystone Southwest Insurance Agency, Inc. Different surety needs are met by different classes of surety bonds. 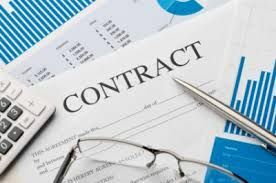 Keystone Southwest Insurance Agency, Inc. has decades of experience servicing contractors and businesses big and small giving us the complete understanding of contracts needed to help your company grow. We deal only with the most trusted sureties, and have a proven record of placing bonds for business owners and contractors new to bonded work to the most difficult bonds for hazardous work to owners with inexperience on larger project and those with financial difficulties. Federal Fiduciary Bonds - guarantee to pay the Veteran’s Administration a specified amount if the fiduciary fails to meet their statutory obligation or is negligent in their fiduciary duties.